Matt Wingett, Turn the Tides Gently. Amazon eBook, 2011. c. 13,000 words. ASIN B006L4C9CG. $0.99. 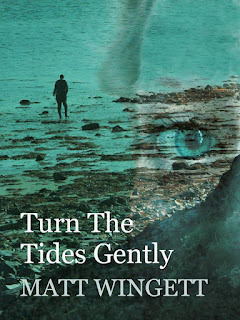 When I initially chose to review Turn the Tides Gently, by Matt Wingett, it was solely because of the mention of mermaids being in the story. I have a weakness for mer-creatures of any kind, and a general love and obsession with the ocean and all of the things in it (real or imagined). I went into the story just expecting a piece focused on mermaids, and I was terribly surprised at how much further the story went. The first few pages lay out the initial premise, and I found it irresistible: Dave is sitting down by the seaside one evening when he sees a mermaid in the water and, mistaking her for a drowning woman, he nearly rescues her. So, Dave has seen a mermaid. The problem is that Dave also sees vanishing cats, a Butler perpetually making tea, dock-workers and soldiers and citizens of the past, none of which anyone else can see. He is not the most reliable person to have seen a mermaid. He knows what he saw was real, but there'd be no convincing anyone else of that. The novella carries on from this excellent starting premise, and I am very hesitant to say too much about the plot, because I don't want to give away what happens. I was very surprised at how quickly the story spiraled beyond the twin facts that a mermaid had appeared, and that Dave is seemingly crazy. More of a threat than his visions is Doctor Cassell, who is in charge of Dave's mental health and who keeps putting him on medications... which do work, in that they dull his mind and eliminate all of the interesting and strange things he keeps seeing. But of course, Dave isn't going to want to stay on pills. He needs the visions. They aren't a burden to him. The pills and Doctor Cassell's disbelief and constant attempts to mend things are the true obstacle. Without giving much away, I can tell you that the story grows into a piece about time travel, and about the past, and about the way history overlays the present. Matt Wingett has written a novella which is an exercise in psychogeography, something very interesting I learned about from Alan Moore and Iain Sinclaire. It is taking a single physical location (in this case, a single town) and looking back through history at that single space. It's exploring history, rather than space. I hadn't entirely expected that from this novella, and was thrilled to read it. The biggest problem in the novella is that the writing is very florid and dense. There are very few short, sharp sentences to be had. Everything goes on at great length. Toward the end, as the tension mounts and the story accelerates, this is actually a good thing. The grandiosity and poetic qualities of the storytelling language actually lend further emotion and tone to the ending of the story. Towards the beginning, though, it just makes it difficult to do what you, the reader, need to be doing: getting a grip on the characters, the place, and the premise. I was bothered by it for the first ten pages, and then never minded it again. I was very pleased that it was only a novella, as well. A novella is an uncomfortable size in writing. It's not long enough to be sold as a novel, too long to be sold as a short story. Happily, we now live in a digital age where the novella can live and breathe again (and as someone who writes too many hard-to-sell things at just that length, I'm thrilled). There is no inflation to make the story longer, nor is anything cut out. It tells precisely the story it needs to, then exits stage right. 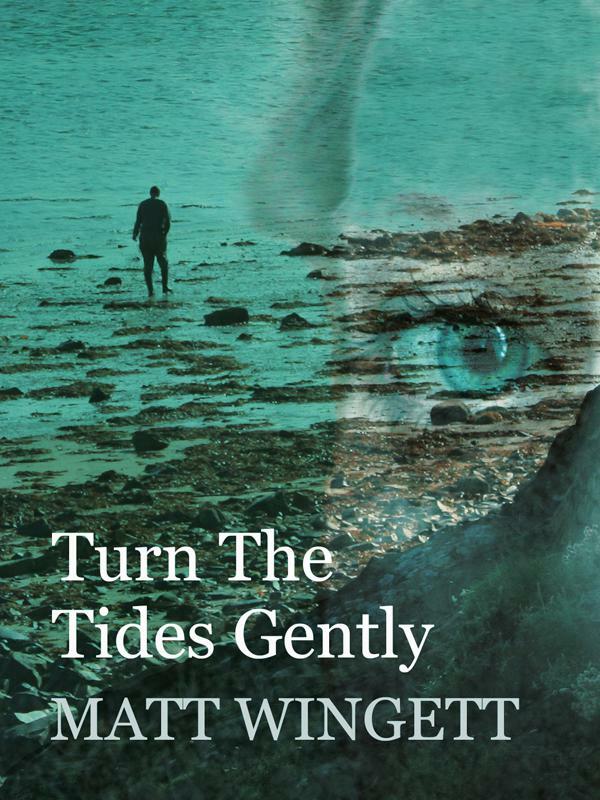 Turn the Tides Gently is a quick read, and an excellent one. I look forward to seeing further pieces from Matt Wingett, and I'll be curious to see if the psychogeographic elements figure into his later works too. I wouldn't mind too terribly much if they do.